Kilmer Lucas, one of North America’s leading healthcare-only investor relations firms, initially began publishing BioTuesdays in 2009 to fill a clear void of traditional media coverage for small and medium-sized healthcare companies. Every Tuesday morning, we profile companies with innovative technologies and compelling investment stories that may otherwise go unrecognized. On the IR front, Kilmer Lucas employs a unique “outsourced in-house” partnership model. We take a holistic approach to building a customized IR strategy, that begins with a deep understanding of a company's corporate and financial goals. Kilmer Lucas has been especially effective in leveraging our longstanding relationships and strong track record to positively influence investor perceptions, maximize stock valuations and lower the cost of capital needed to fund our clients' growth. Stephen is a healthcare investor relations pioneer, with a 20-year record of success. The foundation of Stephen's strong understanding of the capital markets and financial/business media is his early career experiences as an account director for a disclosure newswire and as a registered Investment Advisor with two major investment banks. His in-house executive experience includes leading the IR and Public Affairs departments for two NASDAQ-listed healthcare companies. During his tenure at TLC Vision, the company's market cap grew from $25 million to over $1.5 billion. Stephen then joined OccuLogix to lead its IPO process, which resulted in it becoming the first pre-FDA/revenue medical device company to go public on NASDAQ in over a decade, raising more than $100 million. Stephen left his corporate IR role and founded Kilmer Lucas in 2008. Leonard is the chief writer and editor at BioTuesdays. He has over 36 years of experience as a financial journalist, editor and manager with the Wall Street Journal, Dow Jones News Service and the Globe and Mail’s Report on Business. In the early 90s, Len pioneered the development and launch of the GAM's Money & Markets section. Most recently, he served as one of North America's leading healthcare reporters, as well as the author of a highly popular stock market blog. Abby has 10 years of experience in communications and investor relations, with a focus on the biotechnology/pharmaceutical industry. With a strong background in life sciences, Abby specializes in working with companies with highly technical operations to generate succinct and compelling messages for the investment community. Prior to joining Kilmer Lucas, Abby developed and executed investor relations strategies for clients across a variety of industries while at NATIONAL Equicom from 2010 to 2018. 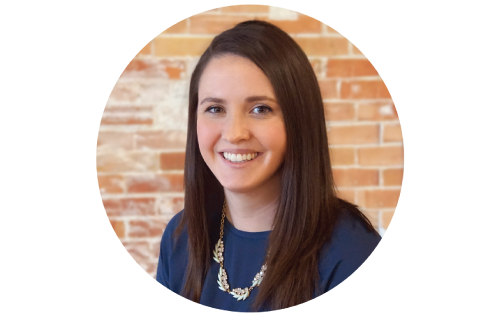 Abby has a Bachelor of Science degree from the University of Alberta, a Master of Biomedical Technology Degree from the University of Calgary and has completed the CSC. Michelle is the Director of Digital Communications and Design at both BioTuesdays and Kilmer Lucas. Passionate about all things digital, she is skilled in brand strategy, SEO, social media marketing, visual content marketing, and visual story-telling. Her past digital marketing and graphic design experience has taken her to the not-for-profit, agricultural and automotive sectors, among others. Sydney joined the Kilmer Lucas and BioTuesdays team in 2016. In addition to contributing briefs to BioTuesdays, Sydney is responsible for the day-to-day operations of the site, overseeing its online management platform, production schedule, content and media. Sydney is a graduate of the communications program at Wilfrid Laurier University. Jennifer is the Investor & KOL Event Director at Kilmer Lucas and frequently contributes Briefs content to BioTuesdays. Before joining us in 2009, she amassed over 15 years of experience in marketing, finance, event planning and broadcast production with organizations such as the NHL Players' Association and SkyDome. Early in her career, she was a registered Sales Assistant at a national broker-dealer. Jennifer has an educational background in both business and healthcare services. Julie has over 20 years working in senior marketing positions in both CPG and healthcare companies. Early in her career, Julie led the development of highly successful marketing campaigns for major brands at companies such as Warner-Lambert and Pfizer. Later, she worked as VP Marketing at an emerging medical device company, marketing a breakthrough ophthalmic technology across North America and Europe. Julie is now a Partner at Hageman Communications, which provides a broad spectrum of marketing, communication and executive event (including Experiential Leadership Development Programs) expertise to clients ranging from large multinational brands to small healthcare organizations. Julie has also been the outsourced Education Coordinator for Young Presidents’ Organization for the past 7 years. Ms. Capraro has over 20 years of marketing and editing experience. She has planned and managed the launch of Equity Research Departments from their inception and set up teach-ins with analysts to better streamline their publication process ensuring brand consistency in all outgoing materials. Maria started MarCap Solutions in 2008 and currently supports a network of leading financial services companies. Susan Thomas’ Endpoint Communications, an independent public relations and communications consultancy focused exclusively on life sciences and health care, is a Preferred PR Partner of Kilmer Lucas. As principal of Endpoint Communications, Susan brings more than 20 years of experience in public relations, corporate communications and journalism to clients in a variety of sectors, including drug development, medical devices, molecular diagnostics, scientific software and health care. With a broad background as a reporter, writer and editor for newspapers, magazines and online outlets, Susan blends a keen understanding of the media with analytical and story-telling skills to deliver the right messages, to the right audiences at the right time.